Is Crowdfunding right for your business ? You have heard of crowdfunding and read various articles and blog posts on it. You found it interesting as an idea and wanted to know more about it. You learned that there are different types like rewards-based and equity-based crowdfunding. With a rewards-based or seed campaign, you offer perks to potential funders in exchange for their contribution while in an equity you offer shares in your company. Intriguing, right? The more you learn about crowdfunding and its potential the more exciting you find it for your business. And when we say business, we actually include almost all types of businesses. When crowdfunding was launched, it was initially linked to start-ups as a means to test their products or service in the open market and an opportunity to raise funds for their development. However, as crowdfunding matures the base of innovators and businesses that can benefit from it increases exponentially. More and more businesses in every maturity stage can run a crowdfunding campaign and raise money to further expand their development. Marketing and engaging with your customers are taken to new levels with this exciting form of fundraising. Crowdfunding, as you already know by now, is highly beneficial for a new service or product launch. It gives a unique opportunity to innovators, marketers, designers, startups, or existing businesses to test their product or service and learn from it while raising substantial amounts of money for their support. It cuts middlemen and offers an alternative option of fundraising that is exploited by social businesses and non-profits as well. As business loans get more difficult and less attractive, crowdfunding emerges as an appealing type of fundraising that can be highly successful if prepared and conducted properly. Great, now you are convinced that crowdfunding is the right choice for your innovation, idea or startup. Congratulations! You have taken the first step in the right direction. What is the next step? Find the right crowdfunding campaign management service, agency or crowdfunding consultant. Because wanting to run a campaign and knowing how to run a successful one can be two totally different things. There are highly experienced and successful crowdfunding campaign management consulting firms in the market that can help you reach, and why not, exceed your funding goal. An expert consultant or agency can help you plan and organise the campaign since preparation is key. They will help you in setting the plan, organising all the actions and implementing them. They will also provide their guidance in the period right after the campaign which is also important. We, at ReadyFundGo, have an experienced highly skilled team to help you run a successful campaign aiming to maximise your opportunity. 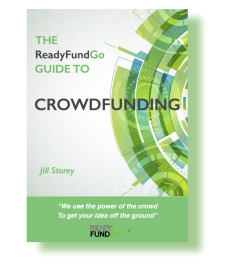 ReadyFundGo help you get ready, get funded and get going with your great business idea. 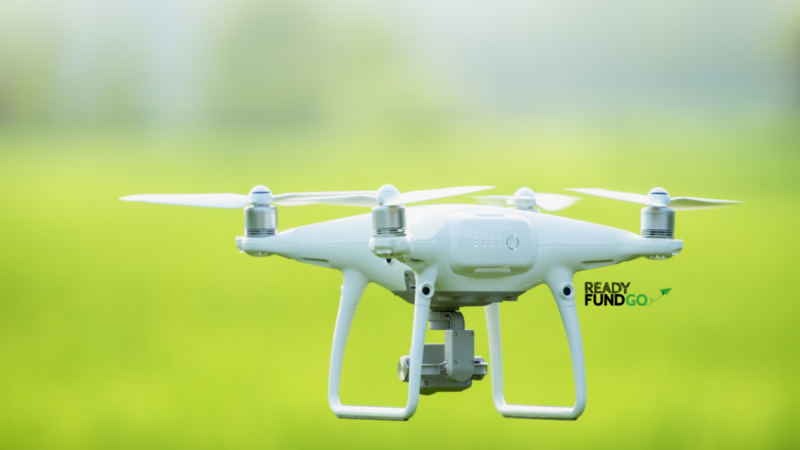 As Australia’s reward-based crowdfunding platform for business start-ups and scale-ups and we also offer high caliber crowdfunding management services. 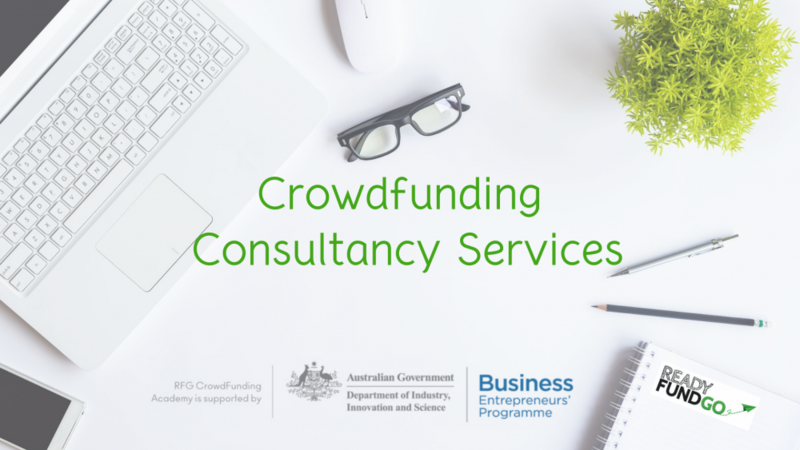 We are one of the first Australian companies to be offering crowdfunding agency and management services designed to help you formulate a winning strategy. 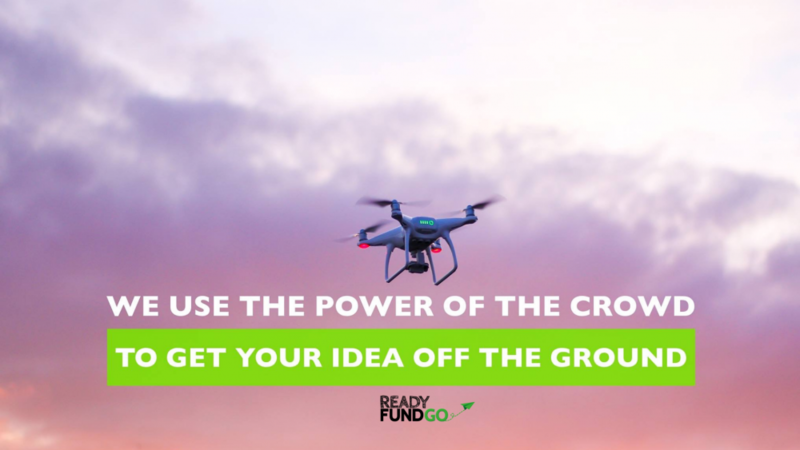 The ReadyFundGo team of experts has worked on some very successful $1m plus crowdfunding campaigns and is now at your service once you decide to engage professional help. We understand that no person can be an expert in everything, so if you are a designer or researcher or have a new product to take to the market, we can work with you to assist you with experienced crowdfunding campaign management consultants. Another aspect that should be taken into consideration (and somehow often slips through the cracks) is multi-tasking and delegation. Running a crowdfunding campaign – at least a well-organised one – is a full-time job and even more. If you want to get it right, you have to take care of every little detail and every situation that might arise. Don’t have the time or resources? No reason to worry, we have the solution. Our live support team can help you ensure you’ve ticked all the boxes for creating a solid campaign. They’ll also make sure your campaign is built for success with strong crowdfunding promotion strategies. We will be there for you in every step of this time consuming yet rewarding process. ReadyFundGo will make it easier for you by putting all the winning strategies into a successful practice. We take an upfront fee for the work and then a percentage of the funds raised so that we share the same incentive as you for the success of the project. Our experience can also help you if you’re considering running an equity crowdfunding campaign as some of the steps in building your campaign are the same and we have specific equity crowdfunding experience skills within our team. Don’t wait any longer. Contact us today and get ready to get funded!